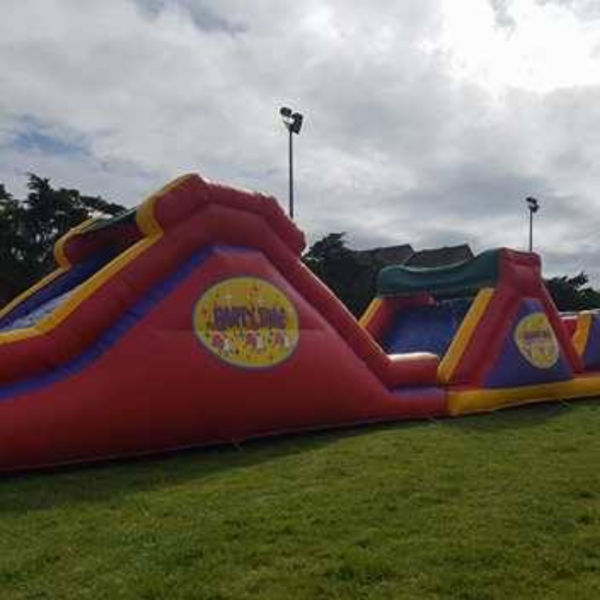 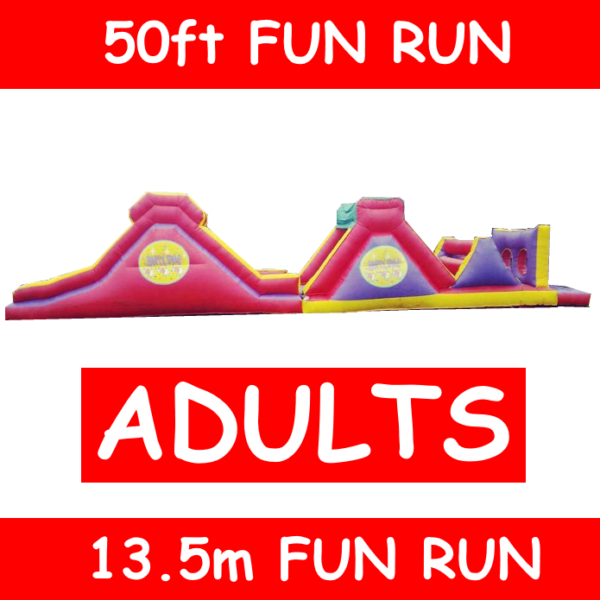 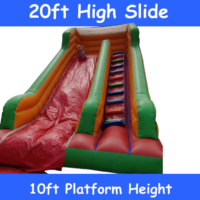 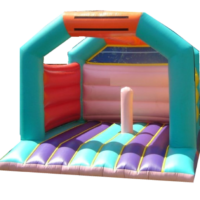 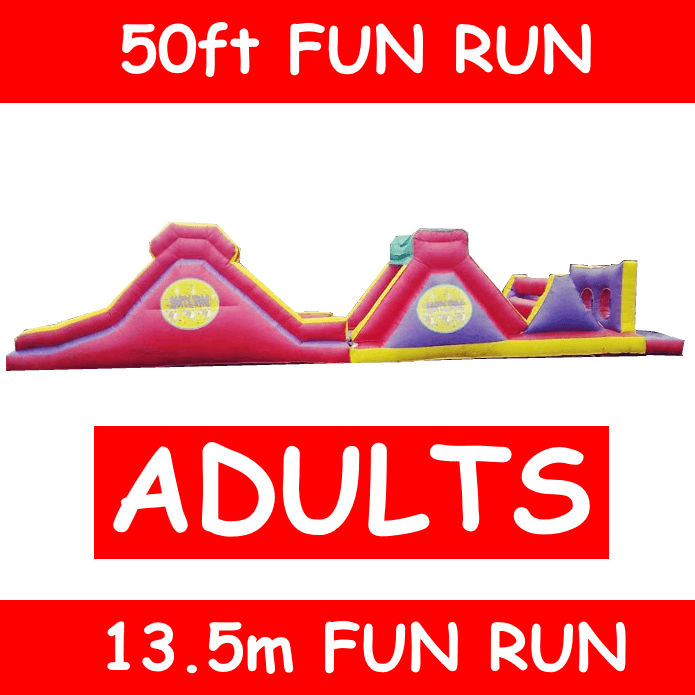 Our 50ft fun run obstacle course is perfect for all ages and spot on for adult festivals, parties and events. 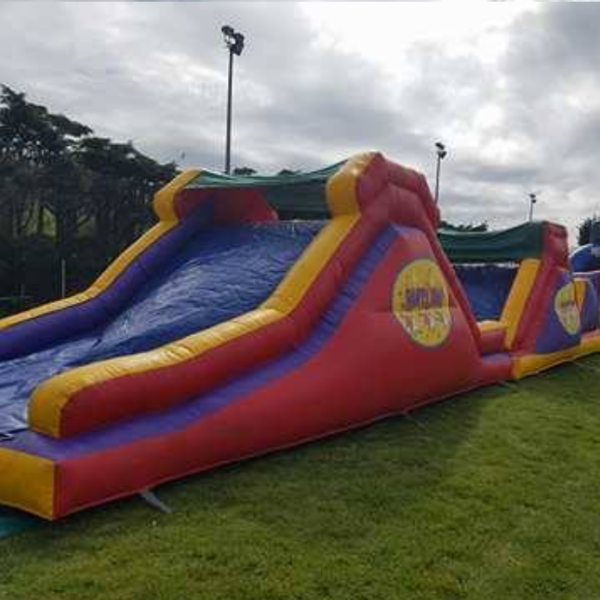 This is a solid unit, almost 10 years old in 2019 and still as rigid, fun and bouncy as the day it was made – a great unit for a torrent of -acceptable- abuse from the wildest of parties! 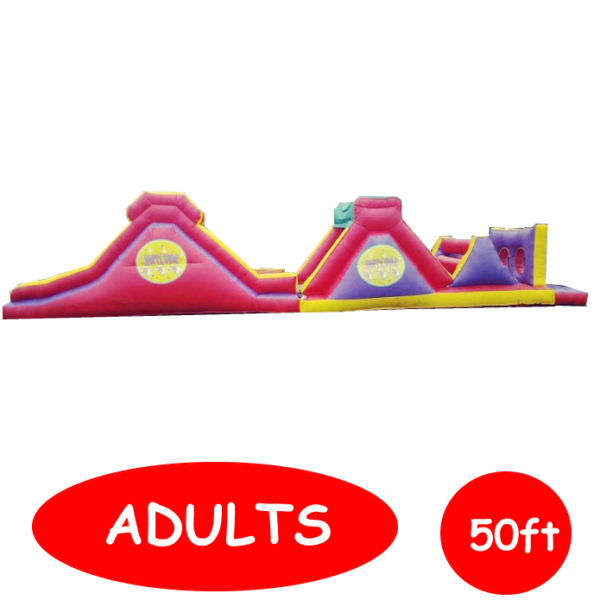 Our popular 50ft Inflatable Obstacle Assault Course in Weston-super-Mare and all surrounding areas is perfect for medium or large size events, with climbs, biff bash, roll through and slides this is a great inflatable and a very popular unit (booking far in advance is highly advised) – A great inflatable that, like us, wont let you down on the day! 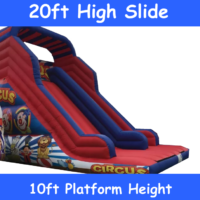 For that something ‘a bit bigger’ then before…. 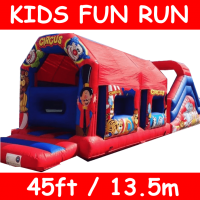 This fantastic assault course is 50ft long, requires x2 fans (included) and takes around 30 minutes to set up and 30 minutes to pack-away – This unit must have good access and will not go through a house or up many stairs.